It is not possible for any person to work in a pest-infested zone. You need to have a sound mind and a healthy body when your working which can be possible by making your environment free from pests. All you need is a regular pest treatments done in your commercial precinct. Contact us to get pest treatments on time in your commercial sectors. You might be running a hotel or you might be a owner of a mini store. It does not matter how big or small your business is. What matters is how safe is your business property from pests? Pests will always be present in your commercial sector. Whether it is a restaurant, hotel, office, or any other commercial establishment, pests will always be on the lookout to destruct your commercial zone by their nasty activities. There are many opening points in your commercial premise which go unnoticed by you. Those opening points provide access to pests to creep in your commercial space and start living without your knowledge. As there are various shapes and sizes of pests, it is not possible to spot the parts with your eyes. Some pests are active in the day and some other pests are active in the night. Some pests love to nest inside wooden items. Whereas, some other pests will love to nest behind the wallpapers, inside the stacks of papers, behind the refrigerator of the pantry, or deep in burrows in the garden of your office. Preventing pests from accessing your business zone is next to impossible. The more you neglect pest infestation, the more affected will be your business. If you have used pesticides or over-the-counter pest products from an unknown local stores, you must have got shocked to see pests back in your territory. What is the ultimate solution to rid of pests permanently? The answer is with us. Get in touch with our pest control company which is located in Brisbane. We provide the elimination method by way of using specialized commercial pest control Brisbane solutions everywhere in your commercial premise so that you never be pestered by the obnoxious pests. How pests are toxic for your commercial zone? The toxic pests not only create hazards for your and your employees’ health, but also pests turn out to be hazardous for your business. If pests make your business zone as their home, then your business products might get highly affected. Some pests are potential enough to destroy the products of your business in a flash. Moreover, food is cooked in the pantry of your business zone. Pests will eat away the food which is prepared for your employees, making your employees and coworkers terribly sick. Are pests moving around your commercial zone? Do you know your restaurant has got pest infestation? Are you aware of the activity of pests in your hotel? Knowing about pests’ activity before the infestation has developed in a large number can save the hard work of your employees from going down the drain and your business. Keep your business zone dry by eliminating water source from the surroundings of your business. Repair leaks in the pipes and do not let water accumulate in kitchen sinks. Seal gaps with gnaw-resistant materials and fix holes with hard wire mesh. Do not keep food containers unsealed. Always seal the food containers tightly and covered with lids. Residues and spillages of food crumbs and liquids should be removed and mopped from the kitchen countertops and from the floors. Make sure you use waste bags to dump the waste products of your business. Dump trash everywhere day. Get regular pest treatments carried out in your restaurants. Our restaurants pest control Brisbane officers are ever ready to conduct pest inspection and treatments in your restaurants and other commercial sectors. Which pests are found to be wandering in your commercial premise? Of countless pests, your business places will not have all pests scurrying around your business territory. 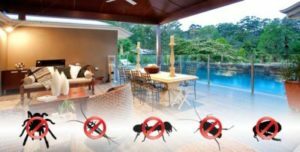 The Brisbane locations and the surrounding regions will have the infestation issues of ants, termites, rats, fleas, flies, cockroaches, bed bugs, bees, birdmites, moths, spiders and silverfish. You should know to take precautions before pests attack your place. Therefore, you should know about every little thing about the pest species which will forewarn you about the invasion of pests in your business areas. Ask our specialists of hotels pest control Brisbane who will tell you about every pest specie and the ways to avert the critters. Will it be good to take up pest control from your side? The nasty critters are best handled by pest professionals. You will purchase pesticides from the pest stores of your location and then use them at your place without knowing the actual method of using the pest products. Your best bet would be to leave the infestation problem on us. Our pest control guys have expertise in tackling with all species of pests. They will use pest control Brisbane services while exterminating pests from your business surroundings. Our pest servicemen know which pesticide will be apt for the pests that have invaded your space. Whether it is an office, a restaurant, or a hotel, our pest officers will be successful in eliminating the pests from the existing breeding sites. How we will eradicate pests from your business area? We make sure our clients should be safeguarded from the reaction of pesticides at the time of implementation of commercial pest control Brisbane solutions. Generally, customers do not get confidence to use pest services because of toxic chemicals. Our pest services do not contain harmful chemicals which would affect your business products. Our pest control specialists will have a trip around your business zone to assess the current pest specie and the unreachable infestation points. Once the infestation sites are exposed by our pest controllers, then they will start their eradication technique by using of our enviro-friendly pest solutions on the infested areas. The hotels pest control Brisbane measures and restaurants pest control Brisbane solutions will be implemented accordingly after the level of breeding sites are known to our pest guys. Our pest control company is acknowledged for its satisfactory services and affordable pest solutions. 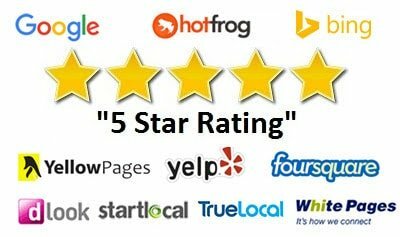 We do not charge undue price from our customers. Our pest control Brisbane treatments can be accessed at affordable rates. You can also use our free quote service by using the information mentioned in our website.